Wow, are you ready for the rains? Make sure you are all set and prepared as we continue a wild and crazy winter. But no matter how bad the weather is here, it’s not –50 like Chicago and we can still get around and enjoy all there is to do in the greater Modesto area. If you have not been skiing, you need to go, if you haven’t gotten the leaves out of the gutter, you need to do it. It’s all about being ready, and with ModestoView, you have the best regional event calendar so you are always in the know when it is time to go. Local musicians? 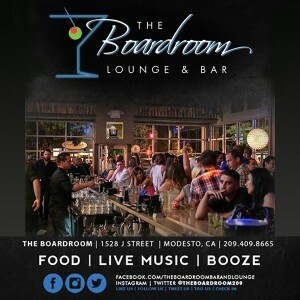 Get connected at the Plink up at Fuzio and let’s make the Modesto Area Music a household word. 1st on your agenda this weekend needs to be the Camp Fire Benefit at the State Theatre featuring Zasu Pitts Memorial Orchestra and loads of famous friends. This will be a one-of-a-kind show Friday night; it’s a good cause, don’t miss it. What is super exciting news is that the March ModestoView will be on the streets, the newsstands and in the mailboxes on March 1. Keep your eyes peeled for some superfine St. Patricks, Mardi Gras and Modesto Marathon things to do. Kicking things off with a bang on Saturday, March 2nd at the Jack Douglas Saloon in Columbia and Sunday, March 3rd at the River’s Edge in Knights Ferry don’t miss the BluesBox Bayou Band a fan favorite especially this time of year.